Glen Wood made his first trip to Daytona Beach for what is now known as Speedweeks in 1947, riding along in a 1940 Ford. That was 71 years ago. Wood, who co-founded Wood Brothers Racing along with his brother, Leonard in 1950, is back in Daytona again this year. His race teams have run 1,474 races in the series now known the Monster Energy NASCAR Cup Series and won 98 of them – including five Daytona 500s — along with 116 poles. His drivers have led a total of 24,580 laps. Wood, now 91, says he’s made every trip to Daytona in a Ford vehicle and has yet to suffer a breakdown along the way, which explains why he’s such a big and long-time supporter of the Ford Motor Co. He said he did get one speeding ticket along the way, but he protests its legitimacy even today. “They had a trick traffic light in Ludowici, Georgia,” he insisted. Meanwhile, year after year, Wood makes the trek south from Virginia. He says he has no intention of ending his streak anytime soon, as long as his health holds up. 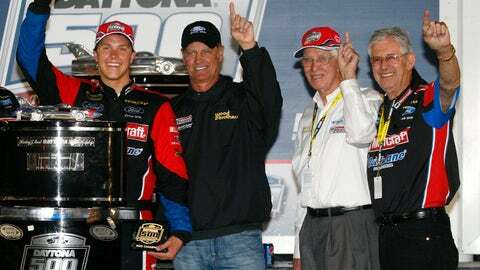 Glen Wood (second from right) celebrates in Victory Lane after Trevor Bayne won the 2011 Daytona 500 while driving the iconic No. 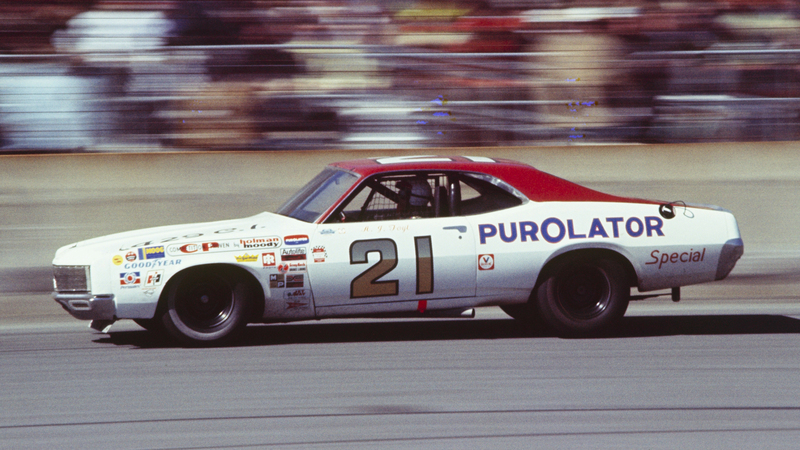 21 Wood Brothers Racing Ford. After all, Trevor Bayne won the 2011 Daytona 500 while driving for the Wood Brothers – and Wood wouldn’t want to miss it if their current driver, Ryan Blaney, pulls off a similar upset. His 71-year streak is secondary to that goal. “It also would be nice to add to my streak of Speedweeks appearances, but that ain’t easy either,” he said. “It’s hard to believe that for 71 years I haven’t been sick or injured or something. It’s quite a feat to do that for so long. I’m not going to say this is the last time, but it’s getting harder every time. The Enthusiast Network | This content is subject to copyright.